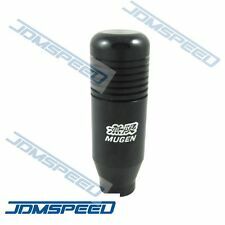 Up for sale is an automatic Honda Civic shift knob. This specific unit was pulled from a 1997 but will fit any automatic Civic that was made between 1996 and 2000. 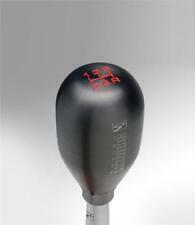 This shift knob is in good condition and includes all the necessary bolts and parts for installation. 1996-2000 HONDA CIVIC SHIFTER HANDLE FOR AUTOMATIC EVERYTHING SEEN IN PICTURE IS INCLUDED OEM BLACK. Console taken from 2000 Honda Civic but will fit 96-00. Gray in color. Excellent condition. 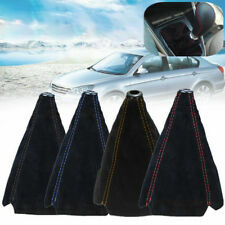 Up for sale is a set of the contents which are needed to refurbish/install a Honda Civic shift knob from 1996-2000. 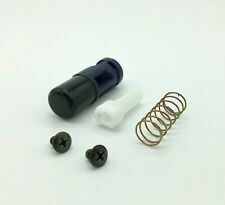 This kit will include the push button, the spring, white plastic sleeve, and two screws. Laurens Auto Salvage. No Grade - A part that has not yet been graded. C Grade - The third level quality part. B Grade - The second level quality part. It is of average miles and normal condition for its age. Used 96-00 Honda Civic Automatic Trans mission shift knob with Black Plastic Button Part is in good condition with minor wear on top area. Clean, inspected and ready to install. buy from Roluz OEM Auto Parts you acknowledge the potential for. OEM Honda 96-00 Civic Shift Boot. 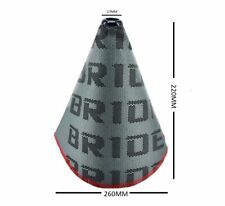 OEM / JDM Honda 96-00 Civic Red Stitch Shift Boot (83414-S04-Z50ZA). Makes for a more refined and sportier look. No modification needed. 100% Genuine Honda part! Made by Honda. 96-00 Honda Civic (w/ manual transmission). Good clean condition Honda Civic auto trans shifter button with spring and two screws removed off a 00 Honda Civic Pictures shown is actual item. 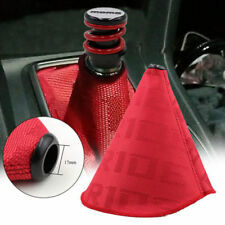 Introducing the Password:JDM Red Stitched Shift Boot! If there was one single product under 25 bucks that could do wonders for your interior- this product is it! 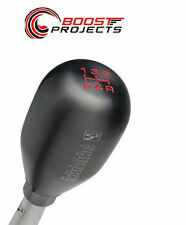 Password:JDM Red Stitched Shift Boot. 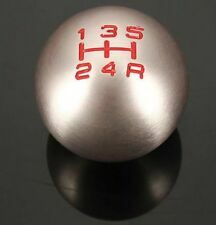 OEM Honda 5 Speed Shift Knob: 88-00 Civic / CRX / Del Sol. 1988-1991 Honda CRX. 1993-1997 Honda Del Sol. Easy install! 100% genuine OEM Honda product. Part# 54102-SH3-901. Made by Honda Motor Co., Ltd. Replace your old one if it is tattered and torn or has faded over the years. A new one will help freshen up the look of your interior! 100% Genuine Honda part! Made by Honda. 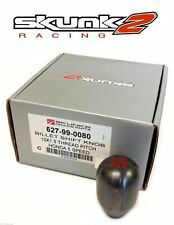 OEM Honda 96-00 Civic Shift Boot (83414-S04-000ZA). 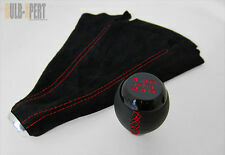 Up for sale is a 1996 - 2000 original OEM shift knob from a Honda civic EK. Will fit almost any Manual car. in good condition. Will be shipped priority mail (1 - 4 business days) If you have any questions please feel free to email me. Items pictured is what you will receive. THIS ITEM FITS ALL OF THE FOLLOWING VEHICLES: 90-01 ACURA INTEGRA. 88-00 HONDA CIVIC / CRX / DEL SOL. Trending at $38.86eBay determines this price through a machine learned model of the product's sale prices within the last 90 days. 1996: VTEC Engine; 10 x 1.5 Thread; For Use w/5 Speed Transmission; Weighted Approx. 440 Grams; Billet Stainless Steel; PVT Titanium Coating. 1992: 10 x 1.5 Thread; For Use w/5 Speed Transmission; Weighted Approx. Trending at $58.88eBay determines this price through a machine learned model of the product's sale prices within the last 90 days. 1988-2001 Acura Integra. 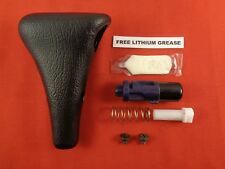 100% genuine factory Honda 5speed shift lever ball seat & dust seal set. 1988-2000 Honda Civic. 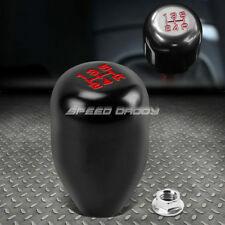 OEM 1992-2000 HONDA CIVIC 5PD SHIFTER SHIFT KNOB BLACK 5 SPEED CRX DEL SOL CR-V. Condition is Used. Shipped with USPS First Class Package. 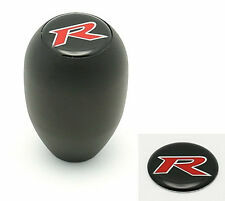 This is a New in Box Type-R 5-Speed Shift Knob fits all Type R Honda & Acura models. Trending at $49.94eBay determines this price through a machine learned model of the product's sale prices within the last 90 days.